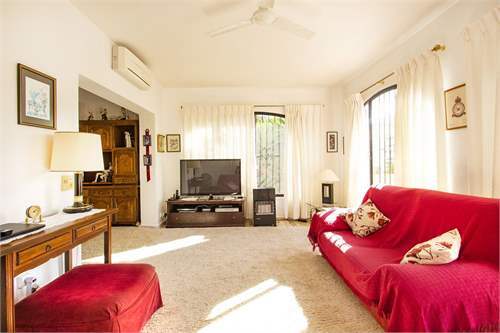 Villa for sale in Calpe, in urbanization La Estacion, situated in a quiet residential area (no traffic road), just 800 meters from the town centre of Calpe and from all type of services. 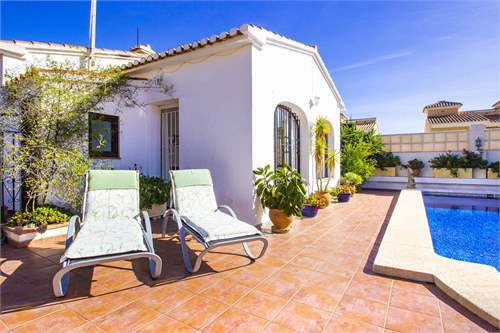 This villa enjoys plenty of sun, (South orientation). 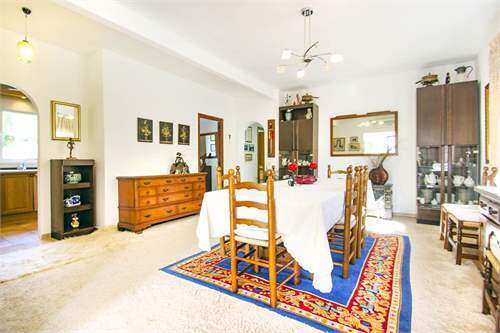 It is located on a flat plot of 800 m2 and has a total floor area of 135 m2 on one level as follows: entrance hall, 3 double bedrooms (12 m2 +10 m2 + 9 m2), 2 bathrooms (1 en suite), a large storage of 8 m2, (before used as small garage), kitchen of 8 m2 open to a large dining room are of 30 m2 which is connected with the living room of 20 m2 (all together 58 m2). 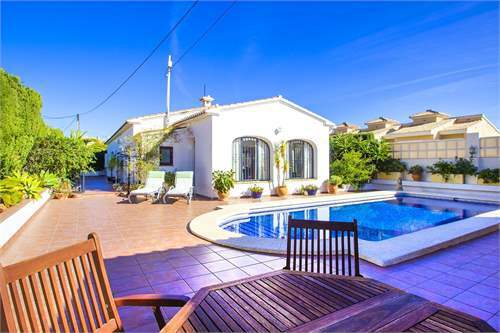 It enjoys a large outdoor terrace of 50 m2 + 40 m2 where we have a rectangular shaped pool of 32 m2, a fabulous barbecue area of 20 m2 and 1 separate toilet. 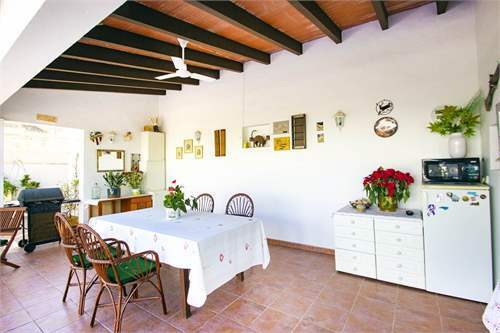 This villa is in good condition and is equipped with air conditioning (3 units, hot and cold). 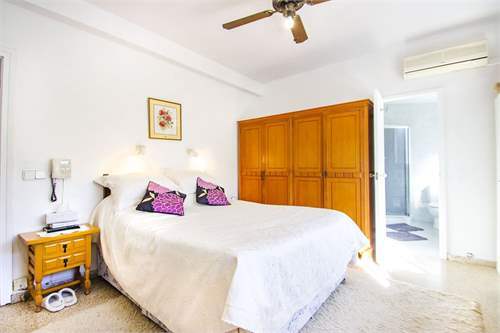 It has ample parking for several cars (+5 cars), and a small garage of 8 m2 with direct access to the villa which is used as storage room. 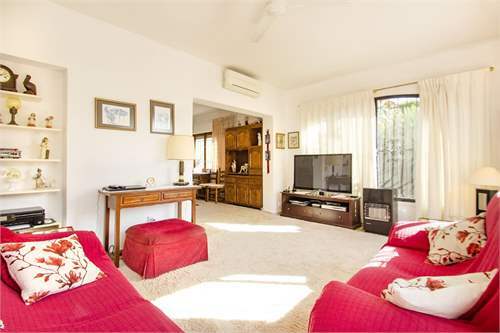 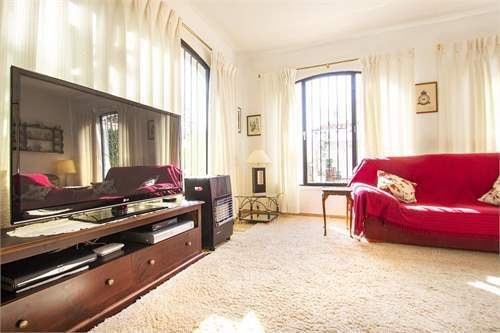 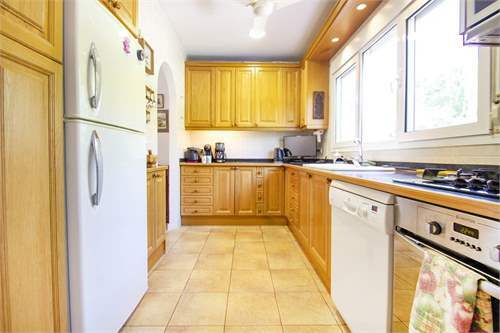 I would like to highlight the tranquillity and privacy that this property enjoys.